Inclusion… we all want to be part of something. 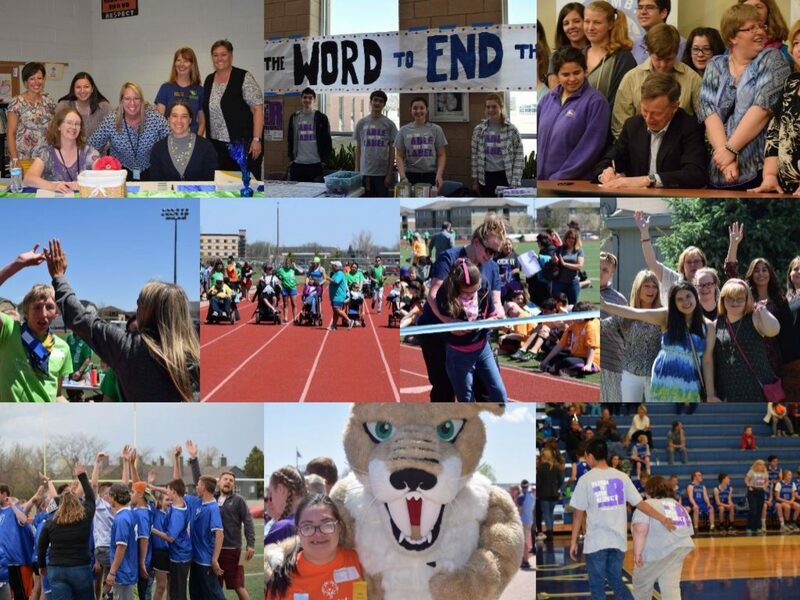 Inclusion may or may not be a part of your vocabulary when it comes to the school environment. As a part of specialized education, inclusion takes on many forms. There is no definitive answer to what inclusion is as part of the Individuals with Disabilities Education Act. What IDEA does state is that students with disabilities have a right to be educated as often as possible with their non-disabled peers. The IEP team makes this determination. So, what does inclusion look like for those working with students with disabilities in the education environment? In Poudre School District, educators have embraced and succeeded in looking past the challenges that come with learning gaps and work to be highly inclusive of all students. By remaining in general education classrooms, students are learning valuable skills such as developing and maintaining friendships, how to get along with people of all backgrounds, time management, how to communicate their ideas and work with others, and are provided access to core content instruction alongside peers. It gives students the opportunity to discover what they enjoy and where their passions lie. It is a chance to be exposed to a variety of people and activities. Renee Ostergren, Integrated Service Coach and educator for Poudre School District describes inclusion as a mentality and culture, not a set amount of time. “Is every student a valued contributing member (of the classroom)? If yes, then the amount and time considerations don’t matter.” “It boils down to, do they matter?” She believes that inclusion in a team sport. “The overarching idea of inclusion to me is that everyone is seen as a community member. That everyone recognizes that each person in their classroom, community, or work place, has something to offer to the better good of the group. I’ve seen this done amazingly well by young children. When they have opportunities to interact with people who are different than them, and are taught to value differences, it makes the community better. It always lightens my heart when I hear a student tell me about how well one of my students can do something, or that they’re excited to see a peer do something new. Inclusion really is a collective idea. It isn’t something that one person can do by themselves. It takes an incredible team that values this idea, and will work to see it improve, that really makes the community. Inclusion is almost a feeling to me – you know when you walk into an environment if it is there or not.” Integrated Service teacher, Rice Elementary School. By modifying activities for students opposed to isolating them in a self-contained program, everyone is benefiting including staff. These benefits are a beautiful reminder that as humans, we are all the same. It is not uncommon to hear someone talk about being overstimulated. Have you ever considered that there may be an amount of stimulation that is just right? The team at Lincoln Middle School did just that. School social worker, Whitney Bennett-Clear saw a sensory need that was not being met, so she and Integrated Service teachers Sara Thompson and Mathew Bruno took on the challenge. Their goal was the integration of sensory tools within their classroom and out in student’s general education classrooms. To make their dream a reality the team applied for a Supporting Partnerships in Innovative Education or SPIE Grant. SPIE Grants are designed for teachers to include innovative teaching materials for creative and inventive learning. The process was a true collaboration. Parent Stephanie Haynes worked closely with grant coordinator Stacy Poncelow to compose the grant with the Lincoln Middle School staffers. The group was awarded $2,346.92 with which they were able to purchase standing work desks, rocking chairs, balance stools, fidgets, light minimizing tools, scented oils, weighted blankets and more. The philosophy behind the sensory smart classroom incorporates our need for sensory stimulation and depression. Think about it, there are times that we may be sluggish and think to have a cup of coffee or bounce a foot while concentrating. The purpose of these aids are to ramp-up energy or decrease sensory stimulation in order to focus. A target group of students, are working toward being able to identify and facilitate these needs. Mr. Bruno, Mrs. Thompson and Mrs. Bennett-Clear have streamlined the use of socially appropriate tools for students. The goal is for students to identify what they need to be successful and access it independently. Does someone feel that rocking would allow them to focus on the task at hand? Grab a rocking chair. Does someone feel that holding and manipulating something pliable would help them relax? Grab a fidget. The only way this is possible is if they are available. That was the vision for the Lincoln Middle School staff. By providing tools, students are able to accommodate their sensory needs, in return the student agrees to a contract of sorts in which they agree to use them appropriately and responsibly. So what are their favorite sensory tools? Mr. Bruno likes the standing desk, Mrs. Bennett-Clear likes the rocking chairs, as do the students and Mrs. Thompson likes a firm desk top fidget. Congratulations Sara Thompson, Mathew Bruno and Whitney Bennet-Clear on your 2014 SPIE Grant. Congratulations to all Mary Hull award recipients and nominees! There is so much to be proud of around Poudre School District! Here are the 2015 Mary Hull award winners and nominees.